Before the car body was not hazy, but it became clear such the sky was reflected on the car body clearly. 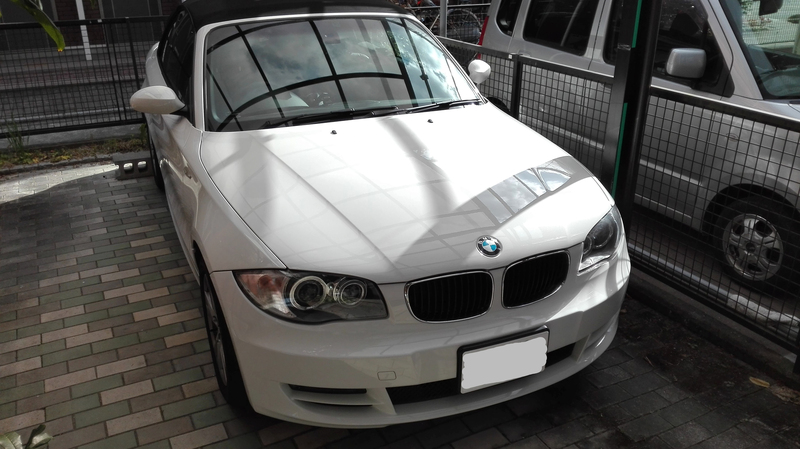 I applied Pika Pika Rain PREMIUM Ceramic Coating after washing, removing iron fillings and using Pika Pika Rain Oil Remover. but I applied it carefully and around 40% of the bottle remained. I also it to other parts, for example, metal parts, lights and wheels. I can feel the gloss when the light hit in the evening which also became shiny. I think that only Pika Pika Rain can realize such as the water-sliding effect with this price. 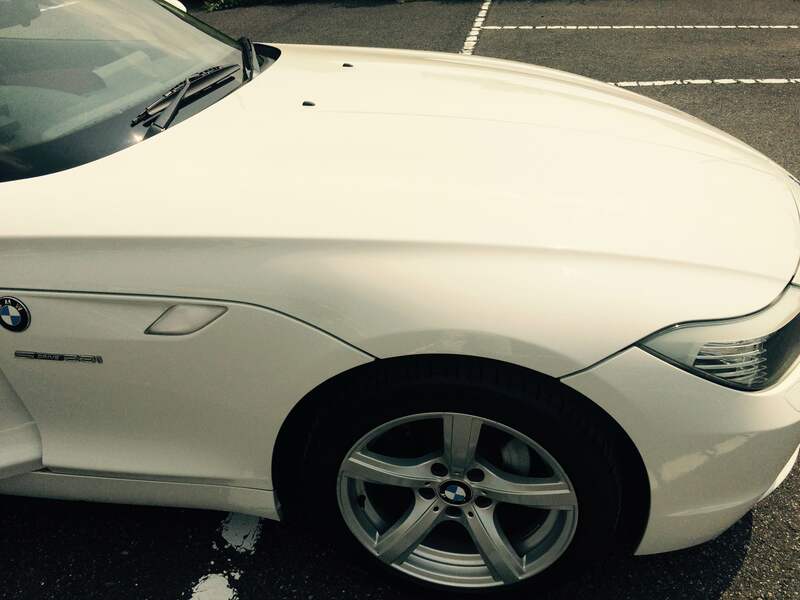 1- Remove the dirt on the car body with a high pressure car wash.
2- Wash a car with car shampoo. 3- Rinse the car shampoo and remove iron filings with clay completely. 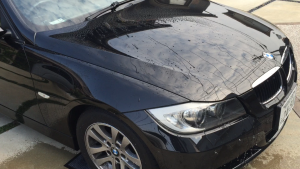 4- Remove the iron filings if they adhere on the car body and dry the car body with microfiber cloth completely. 5- Put a few drops of Pika Pika Rain PREMIUM on a sponge and apply thinly and wipe it with another microfiber cloth. Finally, repeat No.5 step and use the new sponge if you drop it. Cautions which we must follow are drying the water complete and wiping the liquid of the glass coating after you apply it thinly. If you don’t do these, you cannot apply evenly. Also you should better to avoid to apply in the day it might rain if you don’t have a garage. there were hardly any more the water repellency when I splashed, just spread slowly. However, I was surprised after I applied. When I splashed the water, it was far from repelling, the water was sliding! It seemed like I splashed the water to the leaves. Also it is difficult to find in the video, there were so many scratches on the car body. 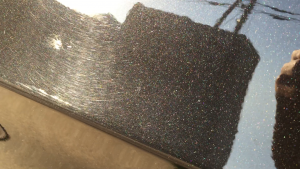 so I got the ultimate gloss like sharp black even though my car is not brand new. 10 days later, the dirt adhered to the car body, so I tried to splash the water. Then it was removed by only this. I am satisfied with the shiny car every time I drove. 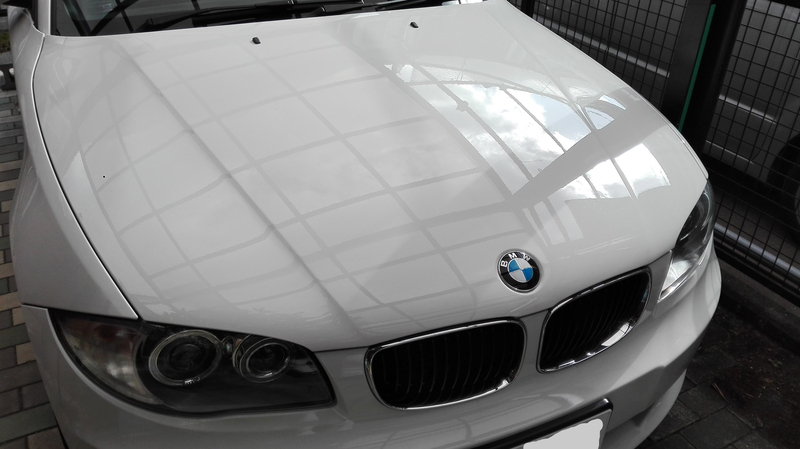 I can recommend this glass coating, Pika Pika Rain PREMIUM strongly. First, I used to use “cci smart mist” which is spray glass coating. therefore I was not satisfied with it. Then I was searching and I bought Pika Pika Rain PREMIUM because this is the best math with my purpose. 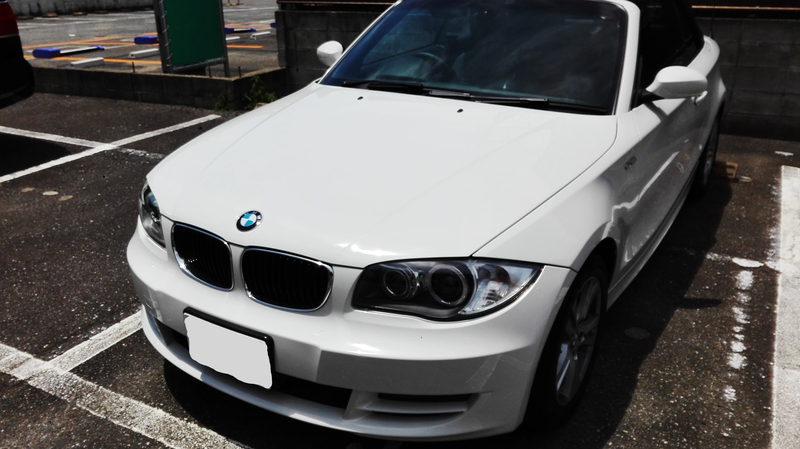 This time I applied it to my used BME 320i (E90), so I would like to give my feedback. 1- Wash off the dirt on the car body with a high-pressure car wash machine. 2- Wash a car with car shampoo not to remain oil. 3- Rinse the car and remove iron fillings with a clay completely. 4- Wash the car body if the clay was still on it and dry with microfiber cloth completely. 5- About 3 spots on the sponge and apply to the car body. Then immediately wipe the area where you applied with the microfiber cloth. Repeat step N0.5 and when you drop the sponge, please change to the new one. The points which we must follow are removing any water and wiping with the microfiber cloth where you applied Pika Pika Rain PREMIUM. If you forget them you cannot apply it unevenly. Also you should better to apply in almost rainy days for you who don’t have a garage. I applied it in the sunny day. Before the application, when I splashed water to my car, but the water doesn’t repellent as this photo. I was really surprised after I applied it. When I splash water to my car same as before, the water is sliding, not repelenting!! This feel like that I splashed water to a leaf. and my used car got the ultimate shine like brand new car!! 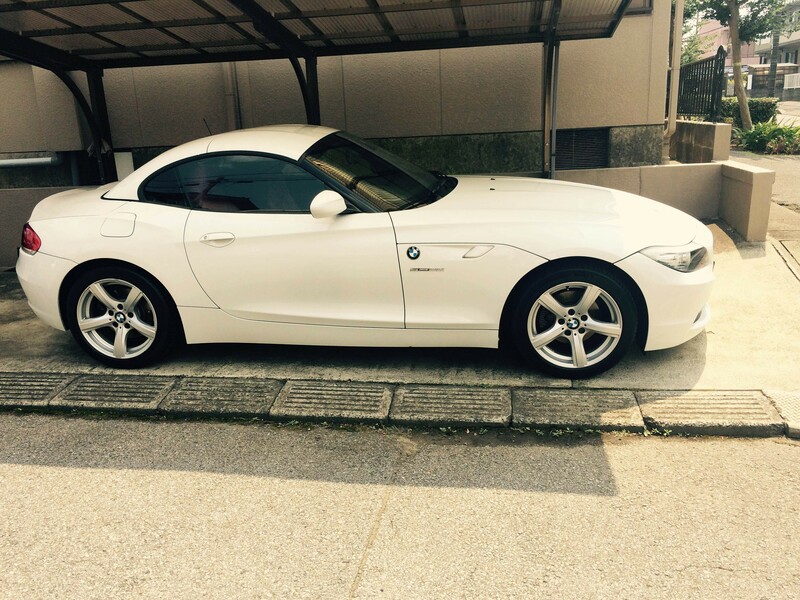 I was very surprised because I had not though scratches became unnoticeable. 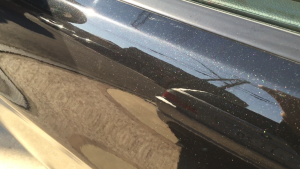 10 days later, I found the dirt on the car body so I splashed water to the car. Then, the dirt could be removed by only this!!! I’m satisfied with it when I ride my shiny car every time. I think that all things are very well. 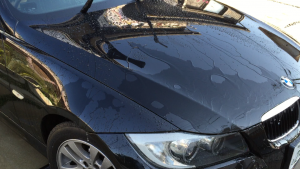 I can recommend this car glass coating, Pika Pika Rain PREMIUM strongly. I applied Pika Pika Rain PREMIUM. however, I tried actually, a half of the bottle remained in the end! It is a little bit difficult to find, but I could applied it glossy! I think it was good to buy it. I am showing the condition about 12 hours after the application of Super Pika Pika Rain. Working time was totally 3 hours in the evening. 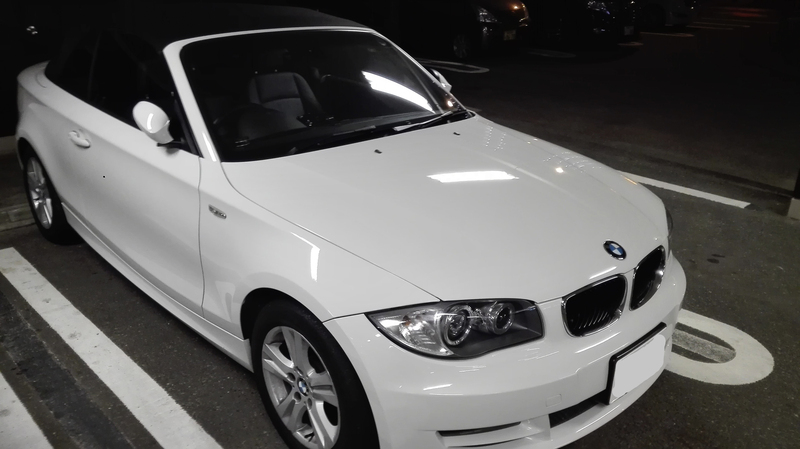 For car wash and making base took 2 hours, and then around half an hour for application. Application was easy, and it went well. 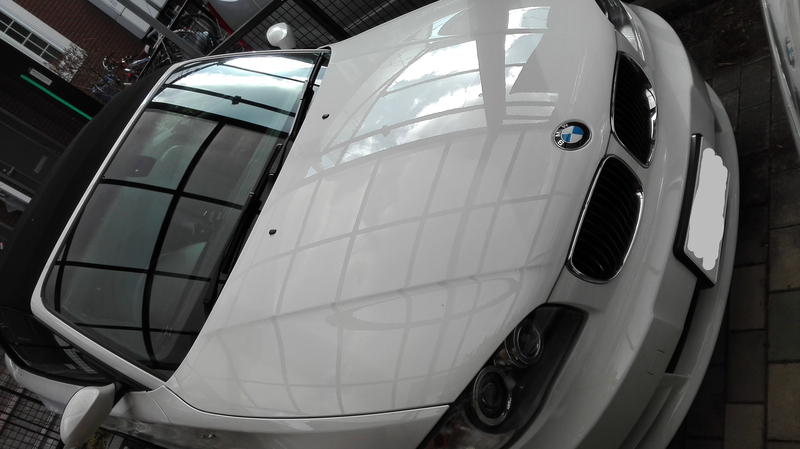 glass coating had completed in good condition without problems. I will do double coating by left-over liquid in the bottle of Super Pika Pika Rain.